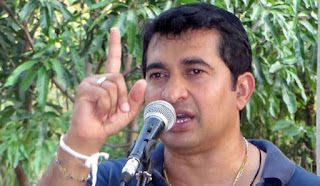 MP for Polonnaruwa Roshan Ranasinghe says no one can prevent the SLPP from creating the next president. Speaking at a youth Bala Mandala meeting of the party at Minuwangoda, Ranasinghe said they have already built up a 55 per cent vote base for their candidate. The next president will be a person who has been instrumental in ending the war and uniting the country, he said. Speaking further, he said there would be no doubt about the victory of the SLPP candidate.